In June this year, a group of David Cairns’s close friends and colleagues put their thinking caps on and tried to think of a way to honour the memory of a terrific Member of Parliament. We came up with the idea of the David Cairns Foundation to allow people the opportunity to remember David in a positive way, and not to focus on his tragic death. And tragic it was. Aged 44, he had a long parliamentary life ahead of him. He was the MP for Inverclyde from 2001 until 2011. During that time he served in various government roles, most notably as Minister of State for Scotland, until he stuck his head above the parapet and resigned from the Government. I was one of the people calling on him to stay put. But his principles got the better of him and on a rainy Glasgow Thursday, he went. I had known David since I was a boy. We were both in the same Roman Catholic Order, The Redemptorists, and when he was ordained priest I was kneeling right beside him. He didn’t hang around long though and within a few years he was off to pursue a career in politics, dispensed from his priesthood by the Vatican along the way. But the values that saw him join the Redemptorist Order in the first place – a love for the poor, the fight for social justice and help in times of need – never left him and transposed seamlessly into his politics. These values drove David. In the Inverclyde constituency that he grew up in he saw at first hand the scourge of poverty, the descent into drug and alcohol abuse, poor standards of housing, generational unemployment and worked every day to do something about it. David loved Inverclyde and its people. He also loved serving as a Minister in Scotland and Northern Ireland. It is notable that across the political spectrum, David Cairns wasn’t just respected – he was loved. He could be robust in debate when he had to be, but was always respectful. And very, very funny. In parliament, he served as the chair of the All-Party Group on Aids and HIV. He also fought for the rights of sexual minorities and latterly assisted victims of homophobic crime in Uganda and Kenya. He was also on the Culture, Media and Sport Committee, where the Tory MP Louise Mensch described David as “the most wonderful man imaginable.” At the time the CMSC were questioning Rupert and James Murdoch, I wondered what David would have asked them? David was so much more than an MP. He loved travel, especially in America. He was a keen student of Abraham Lincoln, an avid reader of history and loved music, especially David Bowie. Most people don’t know their elected representatives. However, when I campaigned in the by-election after his death I was struck by just how many people’s lives had been touched by David. While the Labour Party worked their socks off to win in Inverclyde, I felt personally that David Cairns was a big deciding factor. The David Cairns Foundation has been set up to continue David’s work with the causes that he supported during his life. Our Charity Memorial Dinner in November will be raising money for Ardgowan Hospice in Greenock whose work is invaluable in bringing dignity and comfort to people in their final days as well as their families. We will also be supporting the UK Consortium Against Aids and their work with Sexual Minorities Uganda, helping to stop violent discrimination and the murder of gay people. But it wont be a tearful event. We will celebrate David’s life. Those of us who knew David can count ourselves very fortunate to have known him. We have a great deal to celebrate. 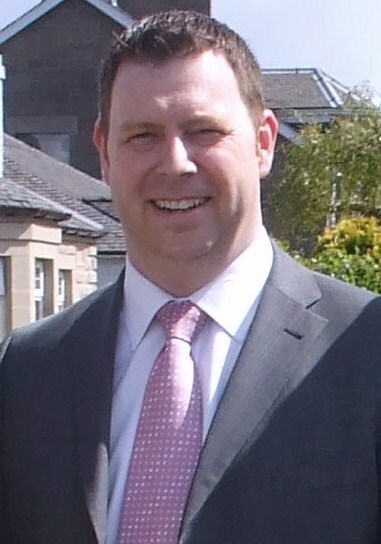 Jamie Glackin is former parliamentary candidate and a member of Labour’s Scottish Executive Committee. Follow Jamie on Twitter at @Jamie4Glackin. Follow the David Cairns Foundation on Twitter at @DavidCairnsDCF. Visit the website here.